The latest cleaning news, hygiene news, cleaning events, innovations, products and more. 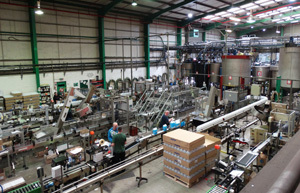 Bradford-based chemicals manufacturer, Christeyns, has acquired Derbyshire-based Clover Chemicals, strengthening its position in the professional cleaning and hygiene sector. 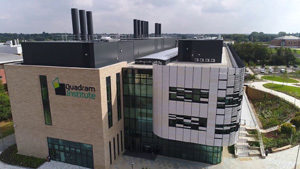 East of England contract cleaning company Monthind has secured a multi-service line contract at the state-of-the-art Quadram Institute medical facility. 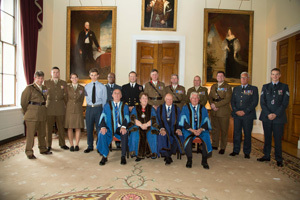 The Worshipful Company of Environmental Cleaners has held their annual Military Awards, an event dedicated to shining a light on the achievements of servicemen, women and cadets. Public sector buying and procurement organisation, YPO, has joined the Cleaning & Hygiene Suppliers Association’s Accreditation Scheme for distributors. 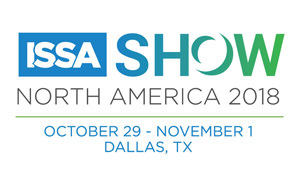 Brightwell Dispensers is set to launch their Myriad range of soap and paper dispensers to the US market at the ISSA Show in Dallas. A new study from Initial Washroom Hygiene has shown that almost three quarters of British families don’t wash their hands before every meal. OCS has been selected by Community Health Partnerships (CHP) to deliver comprehensive cleaning support under a three-year contract worth £50m. 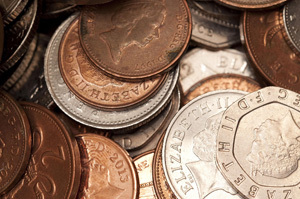 London Metropolitan University and financial comparison website money.co.uk have teamed up and put money under the microscope, and found life threatening bacteria. Global service provider Atalian Servest has announced a new senior board for the UK and Ireland business. Diversey has announced a transition of executive responsibilities, as Dr. Ilham Kadri will be resigning her position as the company’s CEO effective 31 December 2018.